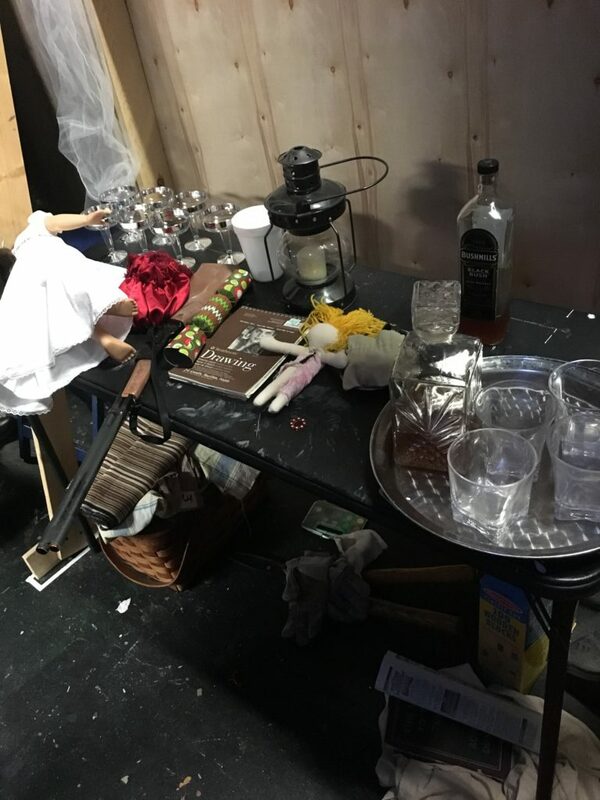 When 7 actors and 1 doll play 17 characters in a play that spans 100 years on two completely different sets, there is bound to be some backstage magic. In this case quite a bit of it … Cloud Nine is a massive undertaking every night, a lot of which the audience probably isn’t even aware of. Stage manager Matthew Ray is supported by two damn fine sets of hands, Jessica Uphold and Bella Mencia, who are holed up in a VERY TIGHT backstage area while he manages things from the booth. That’s Matt’s vantage point from the booth (ignore that drink, it’s not really there, it’s just for scale). 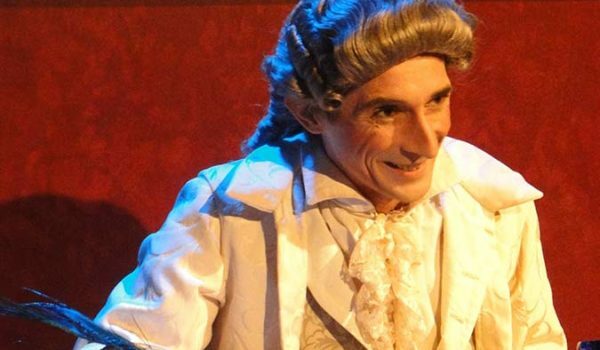 For this particular show he has zero ability to get backstage once the show starts (not that it’s wise to ever leave the booth), and his only connection back there is to text one of his trusty assistants. Matthew runs both the lighting and sound consoles as well as the laptop running QLab that has all of our sound cues in it (that’s why it’s not wise for him to leave). In a larger theater these duties are broken up. 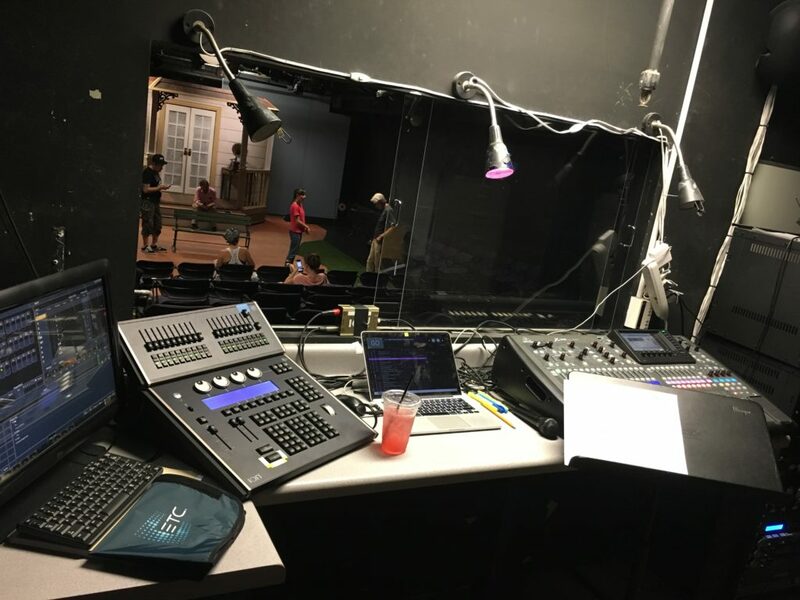 In a perfect world the stage manager would simply call the show over headset to a light board operator and a sound engineer, which allows the stage manager to always be able to easily look between the script and the stage. The stage management team, from backstage to booth, would also have a headset system keeping them all in good communication, and we might even have a backstage TV monitor. Well, we’re far from a perfect world, but we love our little space. From this one tiny prop table they keep all of the things coming and going for us. 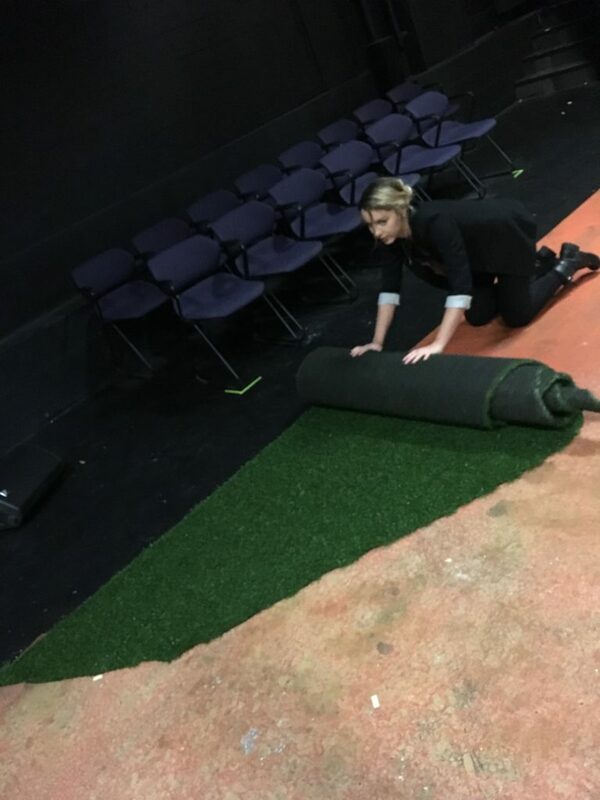 Prior to the show, Jessica and Bella help tidy the theater, get the stage ready for our act one that takes place in 1879, then set all of the various small props for the actors in that very confined backstage space. Once the show starts they push themselves into the corners while actors run on and off, then dash out to take away props no longer needed, place props on the table that will come up soon, help actors quick-change (Katrina Stevenson goes back and forth between playing Ellen and Mrs. Saunders all act), then rush out in the dark between scenes to change over the stage from one scene to the next. 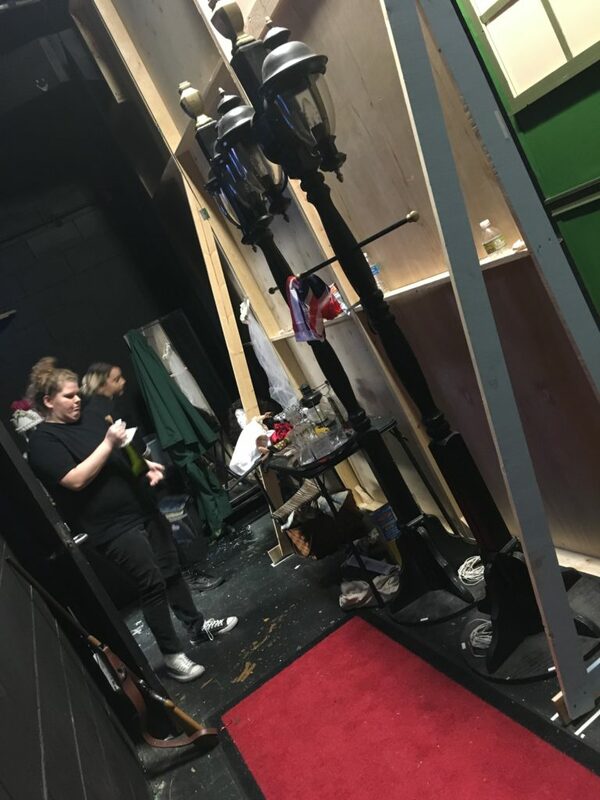 During the act break (while most folks are enjoying a drink or taking a bathroom break) there is some more cleaning, then they need to put away all of the act one props and move any of the act one costumes no longer needed from backstage (again, because no room). They also completely change the set around! The central scenic unit revolves, spinning around from a front porch to show a garden house for our act two set in a 1979 London park. It’s not as simple as turning it, the step units have to come off of the front and the back in order for this to happen, then they are re-attached. This scene change comes complete with removing a glider swing, installing a playground swing, adding park light posts, and so on. Then many of the act one costumes that the actors wear off stage back to the dressing rooms (not accessible to our backstage area) have to be rehung and then taken backstage by our trusty crew for spectral appearances in act two. Act two props all get set before the actors go to places again, and then Bella and Jessica once again go back to prop-wrangling and quick-changing for the rest of the play. Oh, and about those spectral appearance? They are the “magic” behind how we execute them, too. After the show there’s more, you guessed it, cleaning, tidying, clothes-hanging, and restoring so that they can come back the next day and do it all over again. They are there 4.5 to 5 hours a night lifting us up on to Cloud Nine! These folks are among the earliest in and the last out every night, and every member of that 7-person cast depends on all three of them. Please hug your friendly stage management team next time you see them. They’ve earned it. 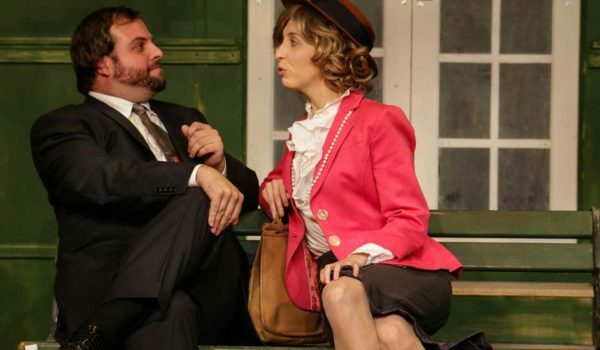 And don’t miss the fruits of their labor — this show must close on Aug. 6! 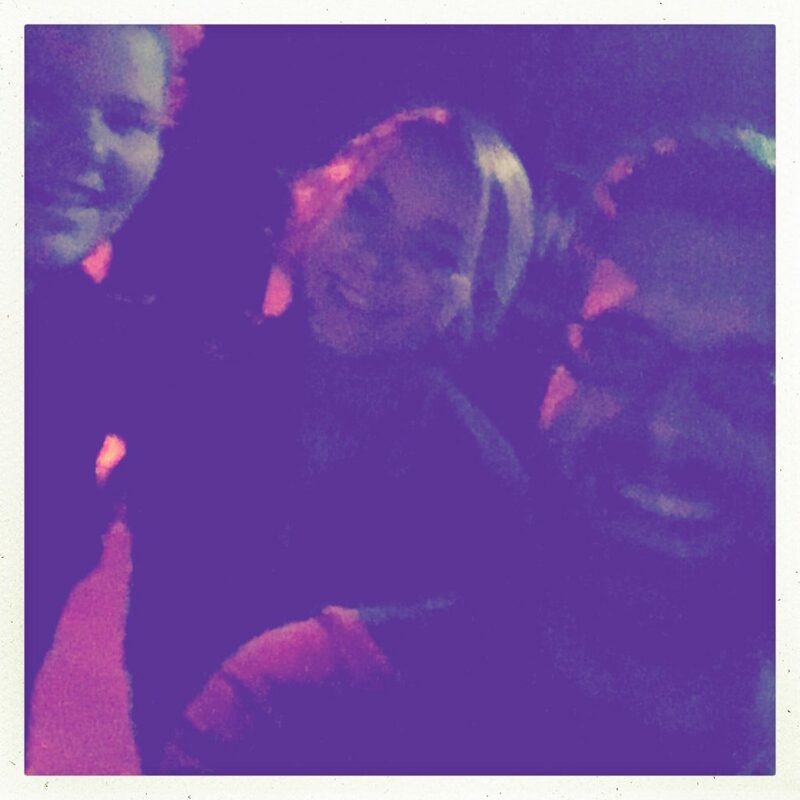 Jessica, Bella, and Matthew want you to witness their hard work in Cloud Nine!